Today’s post is a special one. Not because of what I cooked, but because of who I cooked with! My awesome 7 year old cousin is spending the weekend with us. So I found a yummy (and very easy) dessert to bake together! 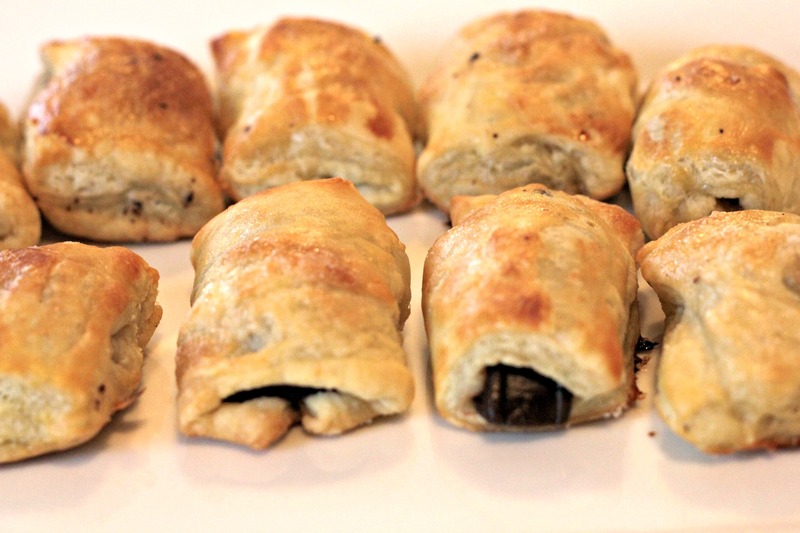 The name may sound all French and fancy, but it’s really just chocolate rolled in puff pastry and baked. I don’t care whatcha call it, but it was awesome! It’s the easiest dessert I’ve ever made (with the exception of cookie dough you just break off and bake). 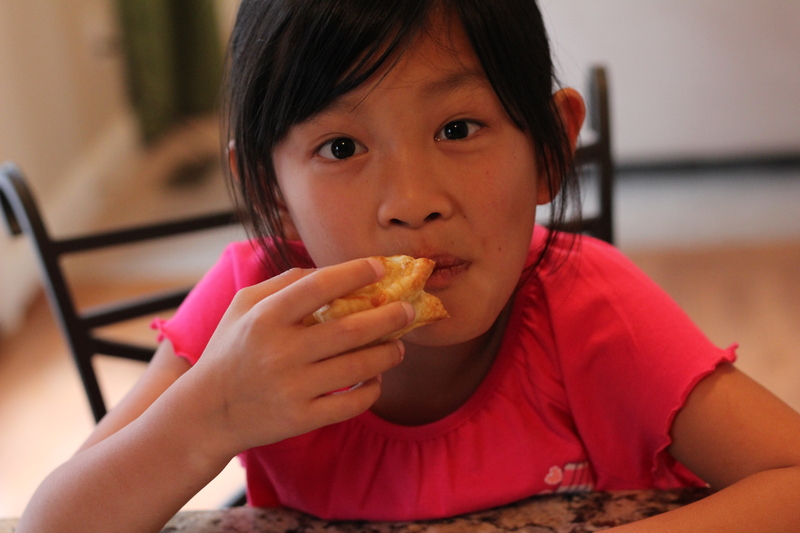 My lil cuz may only be 7, but she’s a big help in the kitchen! She made the egg wash, helped me roll out the dough, roll up the chocolate, and brush on the egg wash! Now we’re ready to pop them in the oven. 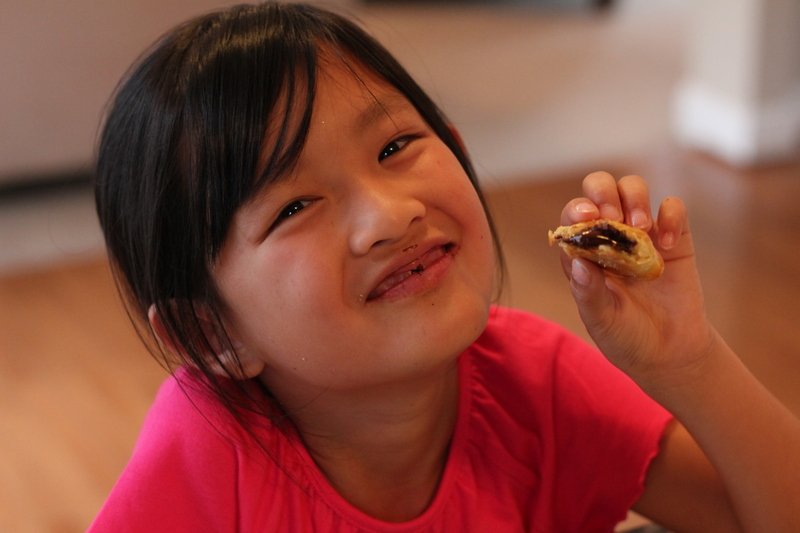 Gooey chocolatey goodness can be enjoyed even with several missing teeth. 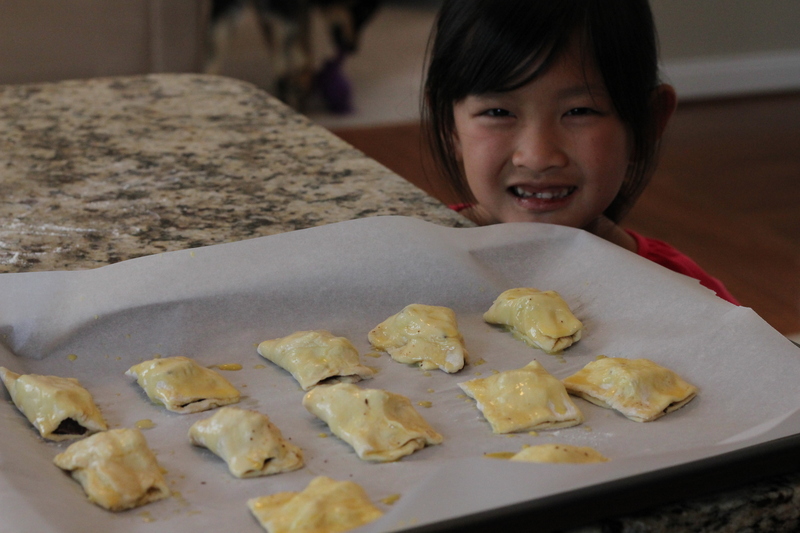 I hope that this recipe is one you can enjoy with the little one in your life! Or just by yourself…because I could easily have eaten all of these things with no help…ya know what…forget sharing! Preheat oven to 400 degrees F. Cut the pastry sheet into 12 equal squares. Line baking sheet with parchment paper. Place 1 chocolate piece on edge of 1 pastry square. Roll up dough tightly, enclosing chocolate. Repeat with remaining pastry and chocolate. Place pastry rolls on baking sheet, seam side down. Blend together egg and water. Brush top of each puff pastry square with egg glaze. Sprinkle lightly with sugar. Bake until pastries are golden brown, about 15 minutes. Best served warm. Thanks for subscribing to mine and I look forward to reading your posts! Oh my goodness You just made my day! Thank you for reading!